Early Action, Early Decision, and Regular Decision: What’s the Difference? Posted by Carolyn Pippen on Tuesday, August 13, 2013 in Application Process, Early Decision, Scholarships and Financial Aid, Uncategorized. If you are reading this blog post right now, chances are good that you have already made one very important decision: you are applying to college. If you are a high school senior, you are likely starting to make the second decision: which schools you are applying to. The next step is one you may have not yet begun to consider: when to apply. While we as admissions counselors do our best to make the application and admissions process as simple as possible, we know that this decision in particular can be a complex and confusing one. In an effort to make your options clear, we have outlined below a few common terms that you may need to understand when choosing an application decision plan for each school. Early Action: Students who apply to a school Early Action will submit their applications before the regular deadline and will be informed of their admissions decisions soon after (typically in January or February). These students are not committed to their Early Action schools, and still have until May 1 to either accept or decline their offers of admission. Students who are not admitted Early Action may be “deferred” to the Regular Decision deadline, though these policies will vary between schools. Note: Vanderbilt does NOT accept Early Action applications. Please refer to the admissions office of each school you are applying to for institution-specific policies. Early Decision: Early Decision plans work very similarly to Early Action, in that students will submit their applications before the Regular Decision deadline and receive their admissions decisions soon after. The most significant difference between these two plans is that Early Decision is binding, which means that any student who applies and is admitted to a school through Early Decision is expected to enroll. Early Decision applications typically require some type of signed form (such as the Early Decision Agreement on the Common Application) that indicates this intention to enroll upon admission. If a student is admitted Early Decision, he or she is expected to withdraw all other applications and submit the matriculation fee (or fee waiver) upon receiving the offer. Students applying Early Decision are strongly encouraged to research the financial aid policies of an institution. For example, it is important to know that Vanderbilt will meet 100% of demonstrated financial need for all admitted U.S. citizens and non-citizens, and will do so without the use of loans, but keep in mind that these policies will vary between institutions. Resources such as a school’s net price calculator and financial aid officers can be used to get a good estimate of what that package might be, and many schools (including Vanderbilt) will send preliminary aid packages to those students who are admitted through Early Decision. Should a student who applies for financial aid not be offered an award that makes attendance possible, the student may decline the offer of admission and be released from the Early Decision commitment. Regular Decision: The vast majority of students who apply to a given institution will do so through Regular Decision, and they can apply Regular Decision to as many schools as they would like. While the application submission deadlines will vary between institutions, Regular Decision deadlines typically fall in early January, and offers of admission are sent out in late March or early April. These students will have until May 1 to either accept or decline their offers, and each student is only permitted to submit a matriculation fee (or fee waiver) to one of the institutions to which they have been admitted. Please feel free to contact your admissions counselor if you have any questions about these terms or how each decision plan works at Vanderbilt. Does Vanderbilt allow students to apply to Vanderbilt Early Decision as well as Early Admission to other schools? You can apply early to other schools as long as they are not binding early processes. When does Vanderbilt release the acceptances or declines of regular decision? Admissions decisions for Regular decision will be available by April 1, 2014. 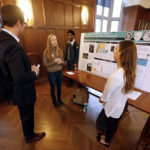 You can see all of the important dates for our admissions process at http://admissions.vanderbilt.edu/dates/. Can I apply to both early action and regular decision of same school? Thanks for the question. You’ll need to check with each school to make sure you understand the specific policies for each – they can and do differ from school to school. For Vanderbilt, remember that we do not offer Early Action. We do offer Early Decision, and if you decide to make the commitment to apply through ED, then there is no need to apply to Regular Decision as well. I am just now looking into applications for my son, who would be in the Commodores class of 2019. It seems that it would make the most sense to apply for Early Decision I or II in the first semester of his Senior year. In other words, we would be jumping the gun to apply for Regular admission during his Junior year, even at this late date. Is that correct? Also, is there extra weight granted to applicants in Early Decision, and thus a higher likelihood of their acceptance, given their demonstrated commitment to Vanderbilt exclusively? Students are actually only permitted to apply under one decision plan during the senior year – we do not accept applications from high school juniors. You are correct that there is a slightly higher admit rate for ED then for RD, but the majority of our freshman class is admitted through RD. My daughter is very interested in Vandy. She has taken the ACT but has gotten no response from Vandy. She has heard from a number of other schools including Princeton, Yale, UPenn and Wash U. She is beginning to feel that Vandy doesn’t want her. 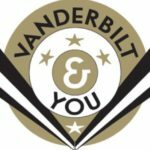 Does Vanderbilt send any mail, snail or email, to prospective students? Hi Sharlene, thanks for your question! Yes, we do send mail and email to prospective students, and we always want to know if someone is interested! The best way to ensure you’re on our list is to tell us – submit your information at http://admissions.vanderbilt.edu/request/. We look forward to hearing from you! If I apply early decision to a certain college in the US and get accepted, can I still change my mind and attend another university in a different country? or am I obliged to attend? For Vanderbilt, the Early Decision agreement is a binding commitment – if you apply early and are accepted, we expect you will enroll. Thanks! Are full-tuition scholarships offered through Regular Decision? I applied to Vanderbilt Early Decision but I also want to apply to another school for Early Action. Does Vanderbilt allow me to do this? Josh, thanks for your question and for your interest in Vanderbilt. You can apply to other schools as long as their process is non-binding. 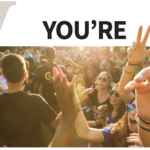 For VU, Early Decision is a binding commitment: if you’re admitted, we expect you to enroll. That means you can apply to another school through Early Action, if their process does not commit you to enroll. Be sure to check carefully with each of the schools you are considering. And again, thanks for applying to Vanderbilt. is an Instant Decision Application similar to an Early Decision or Early Action? How does that application work? And would you recommend it? Hi Karen, thanks for the question. At Vanderbilt, we do not offer an instant or immediate decision plan. Some school’s do offer these kinds of plans, and I’d suggest you contact them to learn more – since we don’t offer these plans, we’re not the experts. Thanks! My daughter is struggling with ED2 versus Regular Decision. If she applies ED2 and changes her mind, can she switch her application to Regular Decision prior to an admission decision under ED2? Thanks for the question. She can change her decision plan by contacting her Vanderbilt admissions counselor. If she is really struggling with the decision, that may be a good indicator that regular decision would be a better fit for her. 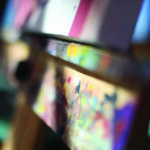 It’s a big commitment, and one that we hope students will feel confident in making. Again, thanks for the question. Is it still possible to switch from regular decision to ED2 or vice versa this year? Because i’m applying school abroad which may affect my decision on school choosing. Thanks for the question. Yes, the deadline for Early Decision II and Regular Decision is January 1. You can contact your admissions officer to change your admissions plan before then. What happens to a student’s application if the student is not accepted in Early Decision? Does his or her application automatically move into the general admission pool? Do some move into that pool and others do not? I have a high school junior and sophomore; we’re still learning. Thank you! Thanks for your question and your interest in Vanderbilt, Marianne. The admission decision a student receives at Early Decision is a final decision, we do not move students from ED into Regular Decision. I hope this helps – stay tuned to the blog and feel free to ask us questions as you begin this process! Are chances of financial aid better if you apply early decision? Hi Thanks for your question. 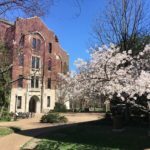 Vanderbilt commits to meeting 100% of financial need for all admitted students, regardless of which decision plan you choose. If I apply as Early Decision to Vanderbilt and apply for financial aid, am I able to get out of the contract if the amount offered is not enough? I know that Vanderbilt meets 100% of demonstrated financial aid, but am I still able to make a decision? Should your financial aid award truly not make attendance possible, you may decline the offer of admission and be released from the Early Decision commitment. However, we encourage you to make use of the Net Price Calculator to understand the likely range of your financial aid award. Understanding your financial aid options ahead of time is an important step in deciding to apply early. Thank you for your interest, and let us know if we can answer any other questions for you! Thank you for your interest, Sona. 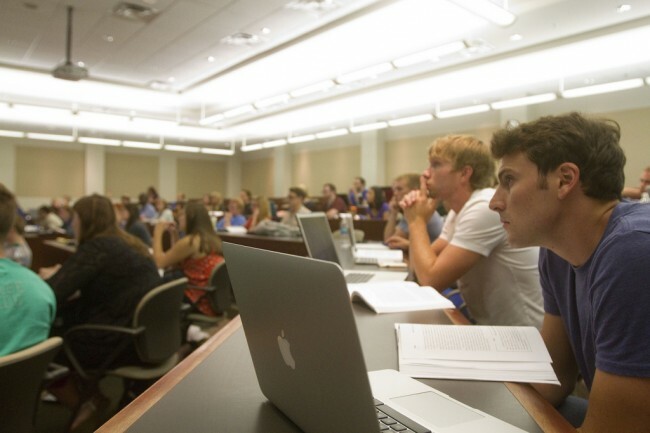 At Vanderbilt, we only offer admissions plans for the fall term. You will have to check with each individual university you are interested in to find out their specific admissions policies. If i get accepted to my second choice school/college at Vanderbilt through early decision, do I still have to attend or does early decision only apply to my first choice college? Thank you for your question. Early Decision admission is binding regardless of the Vanderbilt school to which you are admitted. You mentioned that there is a slightly higher admit rate for ED vs. RD at Vanderbilt. I’m wondering if there is any difference in admit rates between Earlt decision 1 and 2 at Vanderbilt? Thank you. Thanks for your question, Laura. Because EDI and EDII are two parts of the same admissions phase — Early Decision — we report one set of statistics for the entire phase. I wonder that if a university reviews its applications on a rolling basis, students who apply for early action is more likely to be admitted than who apply for regular action? Thanks for your question. Every university has different admissions policies. At Vanderbilt we do not review applications on a rolling basis, so I can’t speculate as to how that works for other institutions. I’m not applying to Vanderbilt but this helped me a lot!! Thanks!! Can you tell me how fast regular decision applications are generally processed? I understand that it’s “by April 1st,” but more specifically? Say I apply RD in November, will I have to wait until March? Thanks for your question. If you apply through RD, you will learn your decision by April 1 regardless of when you submit your application. We can’t be more specific than that because we just don’t know how long it will take us to evaluate all applications and prepare decisions. When you apply, you will hear back within 2 business days that we have received your application, and you can begin to use MyAppVU to make sure that we have all required elements and that your application is complete. Thanks! Thanks for your question. At Vanderbilt, our Early Decision plans are binding. This means that we expect students who are admitted to withdraw their RD applications from other schools. If you choose to apply to VU through Early Decision, you can prepare RD apps for other school, but you must withdraw them if admitted to Vanderbilt. Thank you for your question and your interest in Vanderbilt. If you’re interested in comparing financial aid offers among schools, Regular Decision is a better fit. With Regular Decision, you have the option to apply to several schools, review offers of admission and financial aid, and make choice. For Early Decision, we expect that if you are admitted, you will enroll. Glad to hear you have used the Net Price Calculator – it’s a great resource to estimate your financial aid award. And, as mentioned in the post, Vanderbilt’s financial aid policy is that we meet 100% of demonstrated financial need without loans. Thanks for your question. At Vanderbilt, we do not defer decisions. For us, Early Decision means just that — you will get a final decision on your application earlier than Regular Decision. I sent my application in Nov 21st as Regular Decision, but am regretting not submitting as Early Decision 2. Is there a way to change my application type? Thanks for the question. Yes, you can still change to Early Decision 2. Just email your Vanderbilt admissions counselor to start that process! If I applied Early Decision 1 to Vanderbilt, Can I still apply Early action to other institutions? Thank you for your question. For Vanderbilt, Early Decision is a binding commitment — you agree to attend if you are admitted. For that reason, we expect that if you apply Early Decision to Vanderbilt you will not also apply to a binding admissions plan at any other school. If you have more questions about Early Decision, I recommend you contact your Vanderbilt Admissions Counselor. Thank you.